We send to Victoria, New South Wales, Queensland, the ACT, and South Australia. We do not send to Western Australia, Tasmania, and the Northern Territory due to quarantine restrictions. Plants are posted bare-root via Australia Post. A confirming email will be sent once the plants are shipped, and a tracking number will be provided. 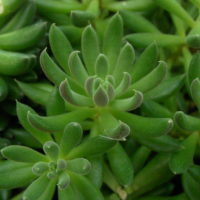 Plants are usually posted on the first Monday after the order has been received. All possible care will be taken to ensure plants are packaged well and safely, but sometimes damage in transit does occur, and the Nursery does not take responsibility if this happens. Please note that we no longer send plants to any overseas country. Plants can vary greatly in appearance due to growing conditions, the seasons, and maturity. Please note that plants pictured on the website are representative only, and the plants received may be different in appearance.